Details for the updates during those long autumn nights and other major announcements. Arks Exhibition Match with ‘Celebrities’ and selected ‘Grand Prix’ members. Dengeki PlayStation Vol. 596 is available now and includes an item code for the [＊Twin Fluorescent Bulbs ] weapon camo for twin daggers and dual blades! Other items include a Half Doll and five Casino Coin Passes. On August 11th, Dengeki released the first ever fashion catalog for PSO2! Over 4,000 fashion items are documented inside with pictures and descriptions, including costumes, hairstyles, accessories, and more. 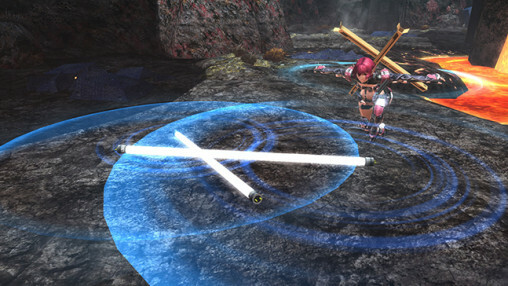 The catalog also includes item codes for cool new objects in PSO2, such as a crouching lobby action. Unless you can find scans, you’ll have to purchase it. There are some preview images on Dengeki’s site though. Is it possible to play with 2-3 Support Partners at the same time? Anyone know where to find the Item Codes within the Catalog? It’s all the way on the back cover; it is a little envelope you need to cut off and open.